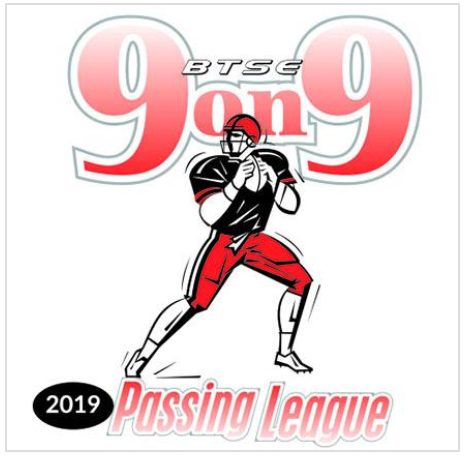 We have a few more Saturday's ahead of us with our 9on9s. A noon game has been added to tomorrow's schedule to allow JV levels to get additional playing time. JV players will arrive at 11:00a. president@etfootball.com. Note, the noon JV game is only for tomorrow at this time. If they add noon games going forward, we will keep you informed. All other players report as usual per times on Charger calendar. Click here for updated snack sign ups! YOUTH FOOTBALL CAMP SESSION 2 IS ON! Spread the word! Session 2 is still accepting registrants for the final weeks of Rising Chargers Youth Camp. 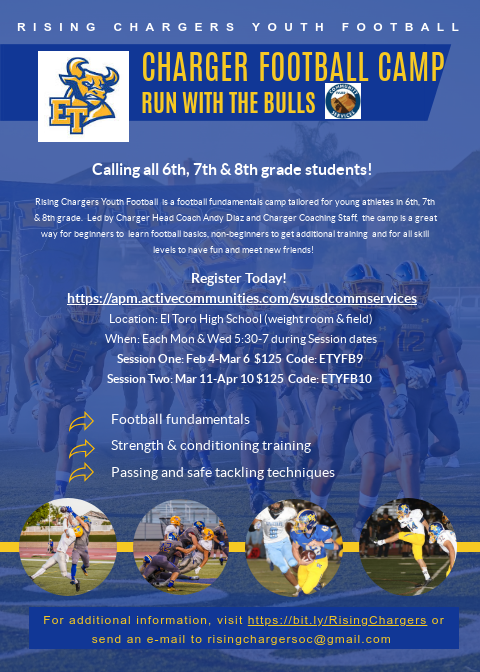 Please share and encourage friends and families with 6th, 7th or 8th graders to join today! Click here to for FAQ. 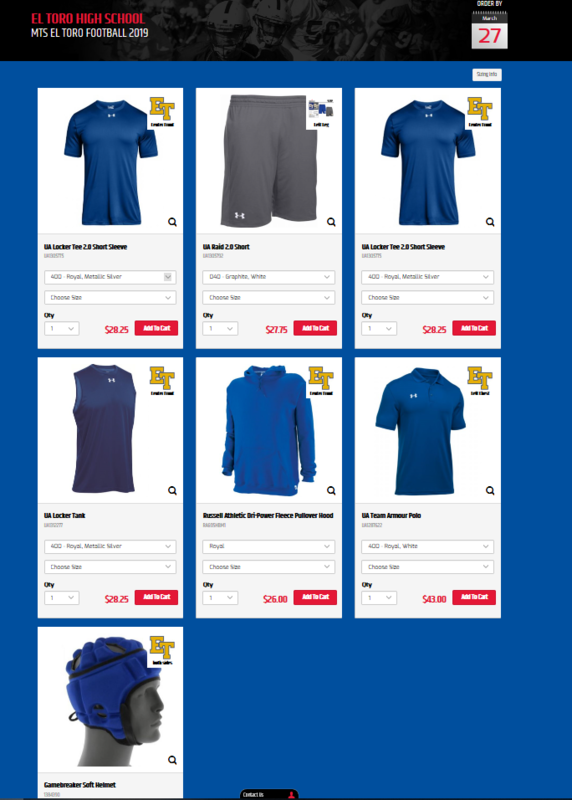 Spring BSN spirit wear store is now open. Spirit wear is not mandatory but is recommended for camps. Be sure to get your order in by March 27th. Next store window is prior to Fall practice. Click here or visit ET Gear tab at etfootball.com for order updates. **NEW** The soft helmets used during camps are being offered to players who want to own one. It is not mandatory for a player to purchase a soft helmet. ﻿IF YOU NEED TO BE REMOVED FROM A DISTRIBUTION LIST OR ADDED TO A NEW ONE, PLEASE UPDATE YOUR PREFERENCES IN YOUR USER PROFILE.